Salzburg (AUSTRIA) – The Red Bull Air Race World Championship has announced that its long-time partner Hamilton, a watch brand trusted by pilots for nearly a century, will be the Global Timekeeper. Hamilton will kick off the new role at a dazzling season opener in Abu Dhabi on 10-11 February – a celebratory event marking the diamond 75th Red Bull Air Race. 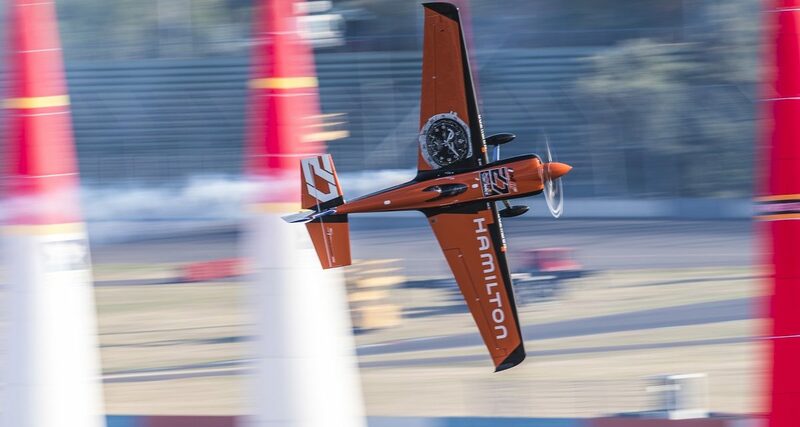 The watch brand known for combining American spirit and Swiss precision has been associated with the Red Bull Air Race since 2005, when Master Class pilot Nicolas Ivanoff of France initially took to the skies as a Hamilton ambassador. The expansion of Hamilton’s partnership with the official World Championship is a nod to the watchmaker’s rich history and heritage in aviation. Hamilton first began “timing the skies” in 1919, when the pioneering pilots of the era put their trust in the accuracy of its watches and navigation instruments. To commemorate its latest aviation milestone, Hamilton will release a special edition watch in 2017, the Khaki Air Race. The new watch will offer the distinctive styling and features of Hamilton’s popular Khaki Aviation line in two unique versions – an Official Timekeeper design and a Team Hamilton-Ivanoff model. More details on the Khaki Air Race to be released. Sylvain Dolla, Hamilton’s CEO, commented, “Our brand has a prestigious history of serving the flying community, and this latest evolution in our partnership with the World Championship further strengthens our presence in aviation. Hamilton is taking aviation watches to new heights, and we’re proud to be the Official Timekeeper of the Red Bull Air Race World Championship 2017.